Migrate IBM I (AS/400) Data to AWS. Cloud Storage for AS/400. Replace AS/400 Storage with AWS. Infinite Data Base (IDB) for AWS is a replication of DB2/400 and it runs on AWS!  AS/400 Cloud Storage is Available on AWS using the same database. Production Storage for AS/400 applications can be managed on AWS. Archive Systems can be stored on AWS. Why use AWS instead of IBM storage? You pay only for what you use. Infinite DataBase (IDB) is designed to support all the data requirements of applications developed for the AS/400. IDB allows businesses to migrate their data to AWS and alleviate the high costs and support requirements of IBM storage and IBM DB2/400 licensing costs. All that is required is to provision IDB on AWS and copy the data. It functions in exactly the same manner as DB2/400. Migrate AS/400 Data to AWS. Provision-Establish an instance (or many) of IDB on AWS. Copy-Send your data to the instance. Go-Terminate your high cost DB2/400 licensing costs from IBM and decommission the high cost storage.